Hello there! 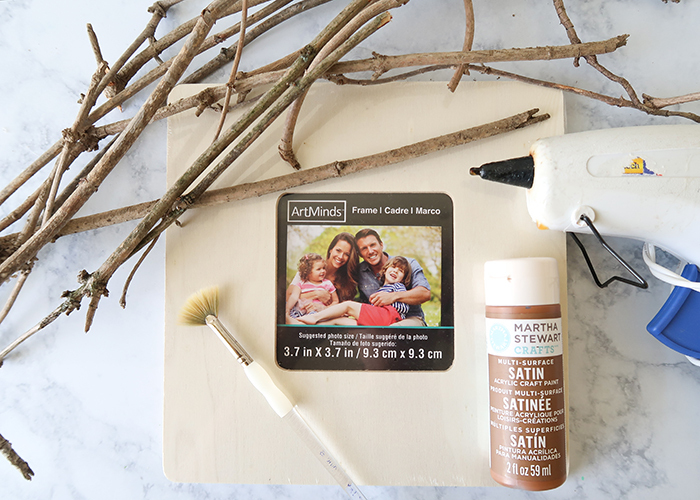 Now is the perfect time for outdoor themed crafts, and today I’m going to show you how to make this Nature Walk Picture Frame! My kids love collecting sticks when we go on walks, and I bet yours do too. 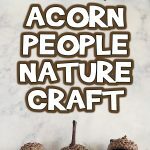 This is a great way to keep those sticks, and even acorns or pebbles, and incorporate them into a craft so they don’t end up sitting in a pile around the house. Here’s what you’ll need! 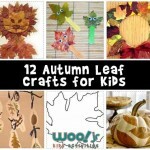 Check out more nature crafts while you are here! 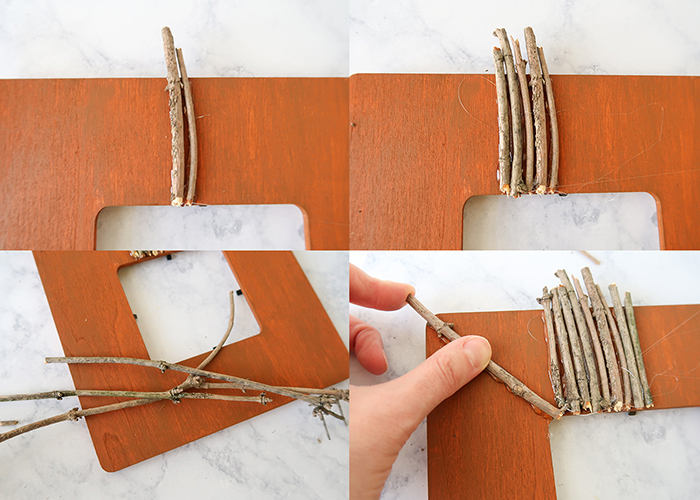 Small, thin twigs and sticks. 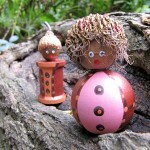 You can also add on small pebbles and acorns. 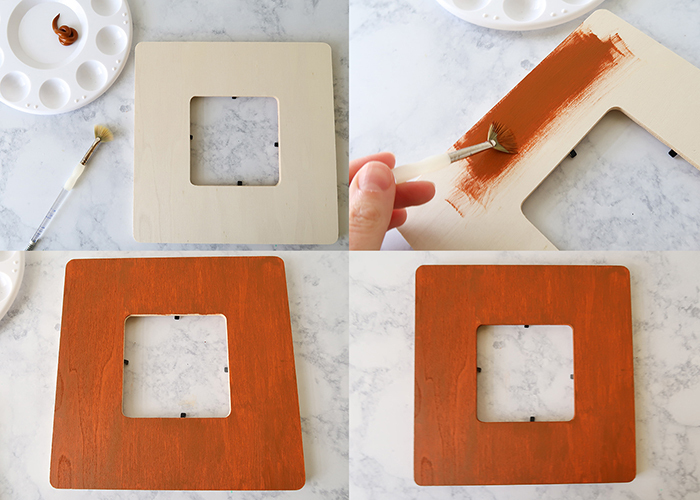 Plain wood picture frame. I get mine Michael’s for only one dollar. 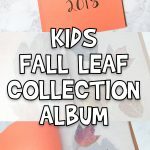 Start by going on a nature walk with your kids! This is a great time to teach them about nature and how you can collect from nature while being respectful. Teach them to only pick up dry fallen sticks, and to make sure not to disturb animal nests or living plant life. I love taking my kids outside and teaching them about nature. It’s one of the best ways to spend time with your kids. 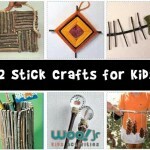 When you’ve collected a variety of sticks, you can get started on your project! Take out the glass from the frame, and lay it down flat. Go ahead and paint your frame, including the front, back, and sides. I chose to only do one layer of paint to allow the wood grain to show through, and because it will be covered up by the sticks anyway. 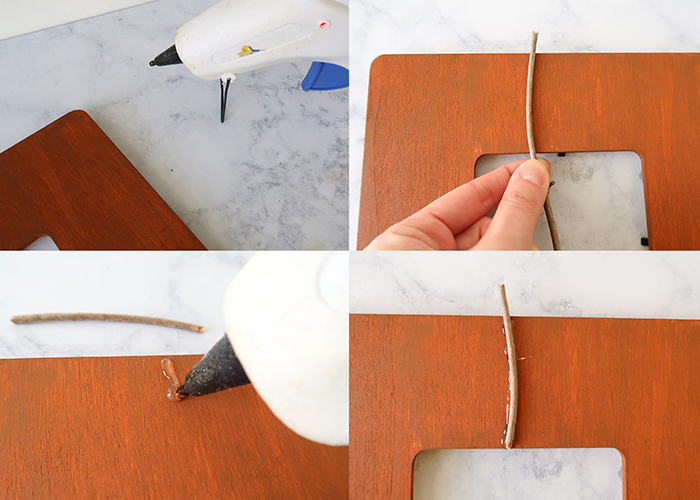 Get your glue gun heating up. Now take a stick and roughly measure it against your frame. Go ahead and break the stick. They should be small enough to easily and safely break with your hands. 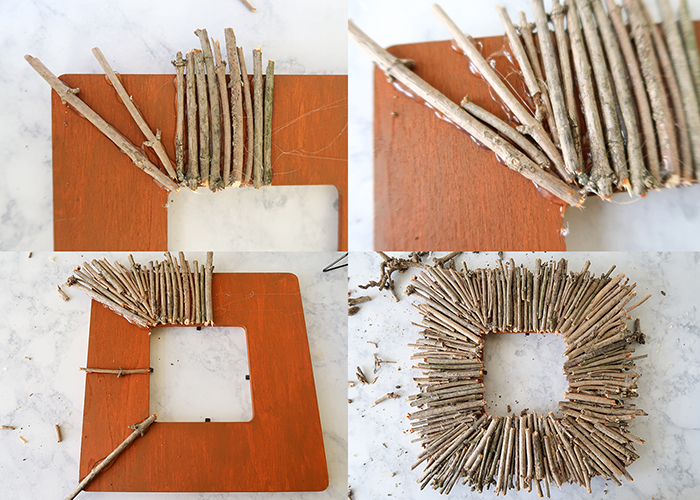 Place a line of hot glue on your frame, and press the stick in place. Go ahead and continue adding sticks. I recommend working constantly from different sized sticks so you don’t have a section of really big sticks followed by a section of really small sticks. Have a bunch on hand to work from at the same time. When you get close to the corner, place a long stick diagonally in the corner. Then you’re going to fill in around it. You may need to use smaller or larger, thinner or thicker sticks to fill in. I recommend putting sticks at each center side and each corner, and filling in the there for the most even appearance. Keep going until your entire frame is filled. Check your frame standing up. 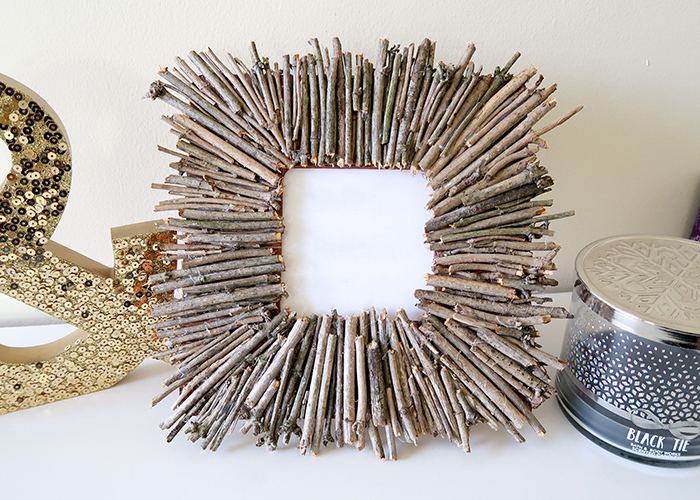 You may need to make the sticks on the bottom of the frame a bit shorter so the frame stands correctly, or you can just choose to hang it up. 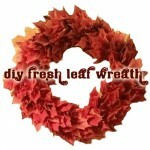 Now if you picked up any acorns or pebbles, go ahead and glue them wherever you think they would look nice. And you’re all done! 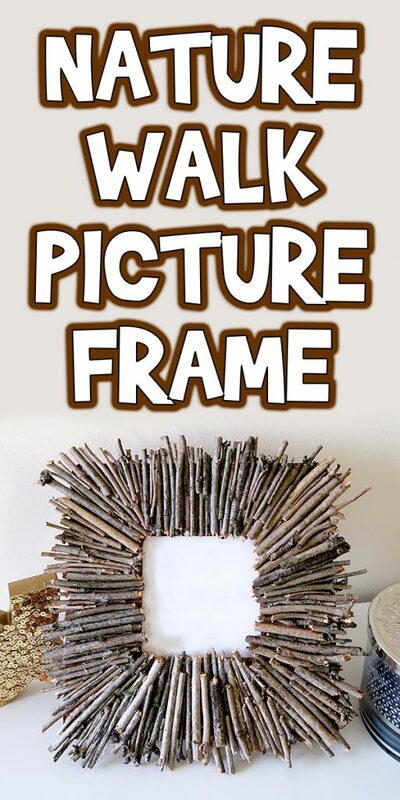 I hope you had fun on your nature walk and enjoyed learning how to make this Nature Walk Picture Frame!